Sunday 2 June - 8:00 a.m. 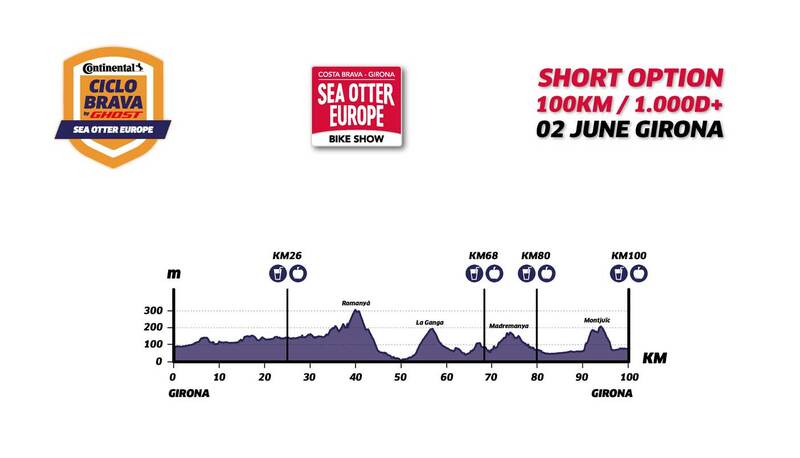 The race will begin at 8 a.m. right next to the festival’s entrance on Rambla Xavier Cugat in Girona with a wide and fast stretch that gives way to charming, uncomplicated roads set amid the regions of El Gironès and La Selva before leading to l’Ardenya massif and then the sea. 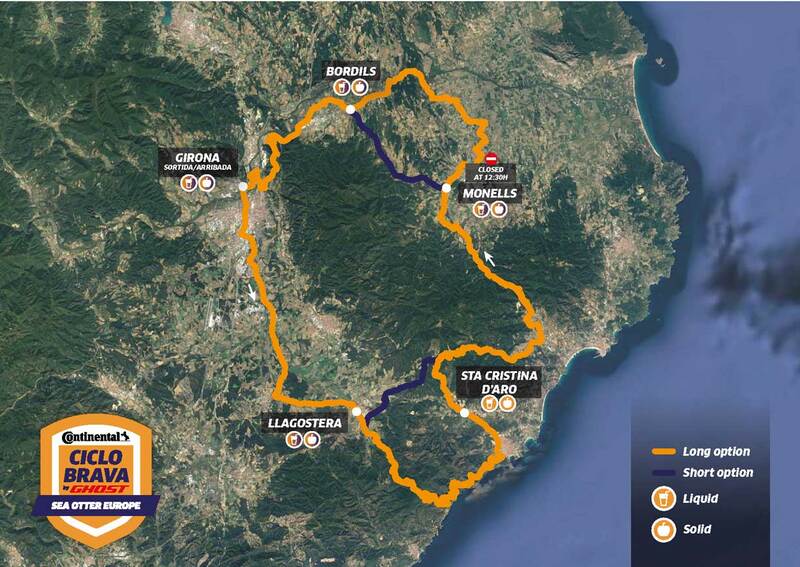 The first mountain pass of the day will be that of Sant Grau where, at the start of the descent, everyone will get a chance to enjoy magnificent views of the Costa Brava. 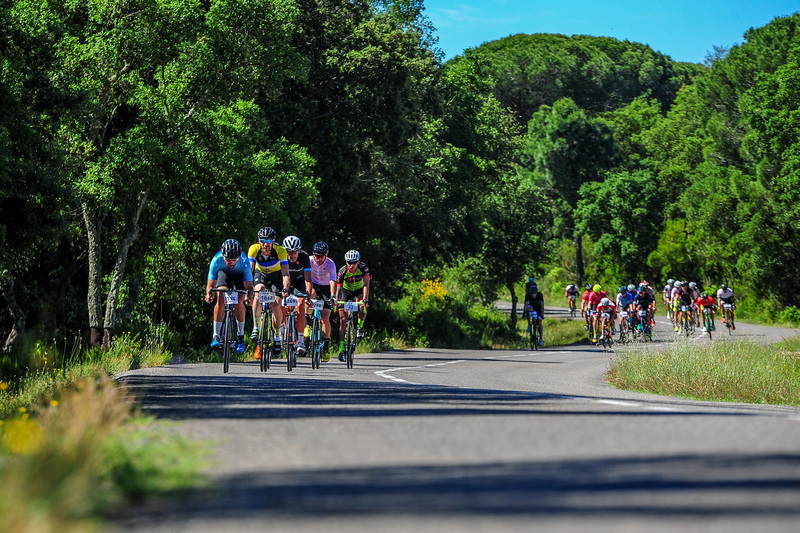 Once on the road to Sant Feliu de Guíxols, cyclists will be able to ride alongside the Mediterranean Sea for 15 km on a stretch that cuts along the steep and spectacular coastline before heading inland into the Baix Empordà area. On this part of the route in Les Gavarres cyclists will climb two classic mountain cols: Romanyà and La Ganga. One of the region’s most distinctive features are its small, remote villages, which have a special charm that participants will no doubt appreciate: Sant Sadurní de l'Heura, Monells, Parlavà, Foixà, the list goes on. All of them are connected by narrow, deserted roads that bring the cyclists closer to Girona. Once approaching Girona, the last climb of the route takes place, allowing everyone to enjoy an extraordinary, unforgettable road requiring one last push that is rewarded with incredible views of the old town of Girona. The ideal way to wrap things, before crossing the majestic river Ter along the Josep Tarradellas Bridge, and descending down towards the finish line, which in 2019 will be on Rambla Xavier Cugat, right at the entrance of the Sea Otter Europe Costa Brava-Girona festival. The race will begin at eight o'clock in the morning, next to the entrance of the festival on Rambla Xavier Cugat in Girona. The initial stretch is wide and fast, giving way to charming, uncomplicated roads set amid the regions of El Gironès and La Selva and the first mountain pass of the day, Romanyá, before coming to Les Gavarres further inland in the Baix Empordà area. After overcoming the mountain pass of La Ganga, cyclists will discover the region’s most remote and charming villages and the deserted roads that connect them to one another. On the return back to El Gironès, participants will climb the Madremanya, where they will be able to admire the Pyrenees. 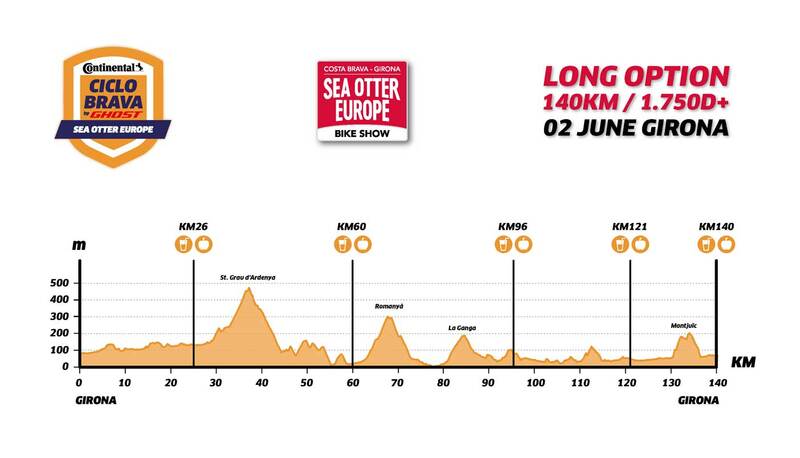 The route will then cut through farms and fields to reach the outskirts of Girona, where the final climb takes place, giving everyone the chance to enjoy a narrow, winding road that will require one last push, rewarded with magnificent views of the old town of Girona. Having marvelled at the views, a final descent begins down towards the finishing line, crossing the Ter river.